This article has been reproduced in a new format and may be missing content or contain faulty links. Contact zsrweb@wfu.edu to report an issue. 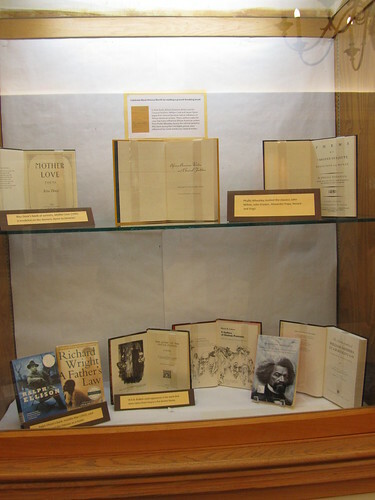 A newly published book, African American Writers and the Classical Tradition by William W. Cook and James Tatum is the focus of this exhibit. The book makes a connection between African American writers and the classical writers of Greece and Rome. These authors include Phyllis Wheatley, Rita Dove, Ralph Ellison, Frederick Douglass, W.E.B. DuBois and several others. Thanks to Dr. Rob Ulery for this idea!